Personally, I find that most things reduced to a smaller size can seem adorable. So, spread a whole lot of finely-detailed model buildings across 1.5 acres and my heart is close to melting! However the site attracted a lot of attention (of course) from children, and so I did my best to contain my excitement and act like an adult. I mean, if acting like an adult includes enthusiastically shouting 'I want to ride the cablecar!' to a group of strangers. Though the weather has been all over the place lately, I was surprised (and relieved) to find Bekonscot showing off underneath the sun for most of my time there. The model village has definite 'holiday vibes' about it, with every inch of the place reminding me of childhood visits to the beach with my grandparents. 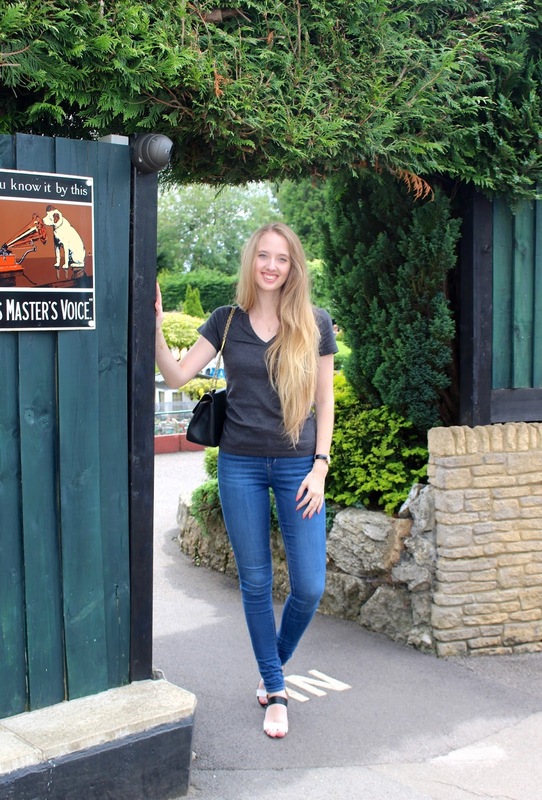 I'm not 100% sure where that thought comes from considering Bekonscot is nowhere near the seaside, however I have a feeling it has something to do with how innocent the attraction is; it's a fun, playful and totally harmless way of spending an hour or so! At the halfway point of the one-way system winding thorough the gardens, there's a wall of history providing a quick glimpse at the past 80 years of the model village since its opening. From the very beginning, it's attracted attention from the Royal Family, even seeing our present Queen Elizabeth II visit the day before her eight birthday (20th April 1934). It's exactly this kind of background story that makes a place very, very special; it's heartwarming to know since then it's been so well looked after and remains a place visitors can go and explore. What's even more heartwarming to know, is that all profits go to charity! Psst! Bekonscot has been visited over 15 million times since 1929! The last time I so much as laid eyes on a model village was while watching Hot Fuzz for the ten millionth time (anyone else love that film?! ), so I'm really pleased to have got around to exploring Roland Callingham's incredible creation. If you're looking for a place to lose yourself in for an hour or so, consider this it. This is incredible! I love miniature models like these! so adorable!! I would love to see this! Omigosh what a a perfectly quaint model village!!! Why is is that things are often even more charming when captured in miniature? It's really nice that this place has such a cool history as well. We've also watched Hot Fuzz many many times. Simon Pegg and Nick Frost are just hilarious together. I was sure there was something strange about that pink cottage house. Then I read it's a miniature. This whole village looks totally amazing - so many details and it's all so realistic. It's fascinating!! You always have the most unique and lovely posts! Aw, miniatures are so sweet, and this looks adorable! I'd have trouble acting like an adult too lol. Oh I would love to go to something like this, that model village looks adorable. Except I'd have to be like you and try and contain my excitement otherwise I'd be mistaken for one of the kids. Oh wow, that is beautiful and so unique too. I excitedly showed my husband this post and loudly said 'we must visit!'. LOL! I can't believe that it's been opened since 1929 and survived the war. Looks like you had the BESSSST time!!! LOVVVE LOVVVE LOVVE this mini village! INCREDIBLE!!! Hot fuzz is hilarious! That place looks so cute! Looks fun! Oh my gosh, this is the cutest! I'm so happy you included this on your blog because I absolutely adore it! My husband was looking over my shoulder when I was reading this post and we both 100% want to visit! Seeing this post reminded me of my recent trip to Miniature World in Victoria, Canada. I was with my family and we decided to go there because we hadn't been there in years. They have miniature replicas of historical events, as well as iconic landmarks and stuff like that. But not an entire village like this one! I really love looking at miniature things too. They are just so adorable! To think that someone actually made all of this stuff is insane! That looks too cute! I bet my daughter would love to see it. And I don´t know the movie Hot Fuzz, am I missing out? This place is beautiful as the Italia in Miniatura, that is located in Rimini. How adorable! This place looks lovely - I used to love places like this as a kid. Have a great day! I think the quintessential nature of your blog is one of the reasons I love visiting so much :) This mini world is absolutely adorable and so accurate- every detail looks super realistic! Glad you had a great time! How cute is this?! The detail is amazing. LOVE this! Reminds me of Madurodam in The Netherlands. Oh wow. That place looks so amazing. I knew you must have visited an incredible place the moment I saw the photo of the pink cottage on your instagram page. I'm definitely going to add the model village to my list of places to see. Ok, how adorable and cute! I love miniature models like these! This little village is so cute and beautiful! This is adorable! And super incredible, the details on these models are gorgeous. This must've been amazing to see in person! Woww, awesome shots! In love! We have a place like this in Australia that I went to on a school camp once and everything was so cute! Imagine actually building everything though, it must have taken forever! Oh wow this is like a movie!! This is all just so cute, I can't believe something like this exists! This is so cute ! Everything is so perfect. I am sure lots of hard work went behind this. Love it totally ! Ok, officially obsessed with this! I was so obsessed with model villages when I was little and this was is so darn cute. Love! I've been there quite a few times and it's so interesting (and very English!) love all your pictures! This looks amazing - love your photos! 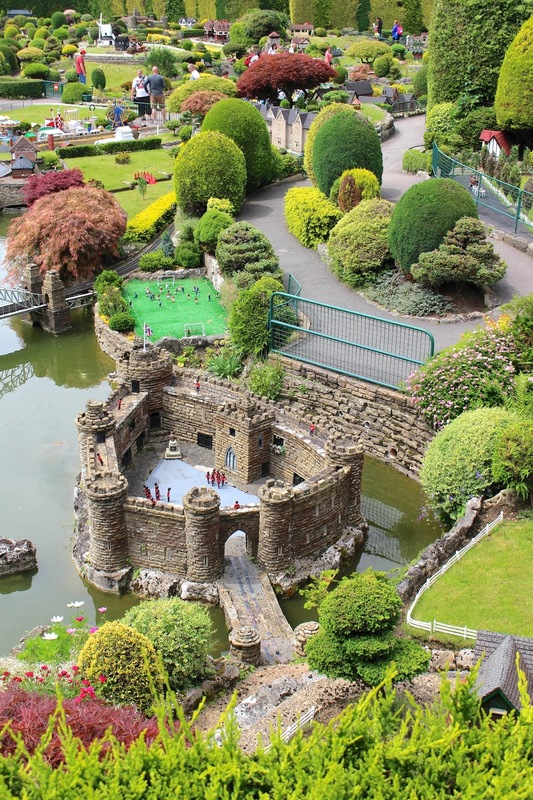 I had no idea Beaconsfield had a model village, it looks so cute! This is just the absolute cutest! Mini things are too adorable to pass up ;) You look stunning as usual! Oh my god, I love miniature things, this is so cute!! Ok for a good while I couldn't tell which ones are the real people and not! haha This is too cute! Never thought that this kind of place existed! So beautiful and well designed! Love it! This is such a cute post! It reminded me of the old TV series The Borrowers. Such an interesting place to visit and I really do like miniature things, I used to collect them when I was younger actually. Crazy cute!!! I love it!! This looks adorable, but it's also fascinating how detailed everything looks. Stunning pictures! These are adorable photos, Gab. Love it! Thanks for sharing! 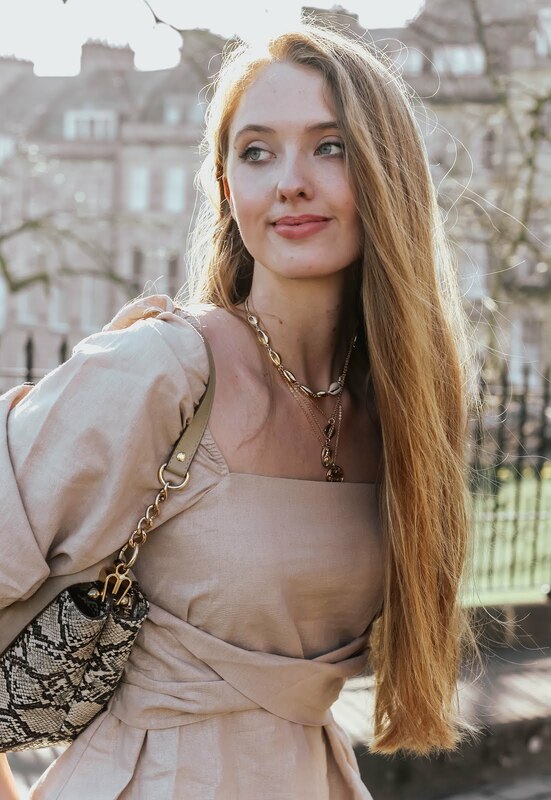 Have a fabulous weekend darling! I would love to visit it this model village.....it is beyond adorable. Things do look cute when they're small, don't they...and this village is absolutely fabulous, I'm head over head with how detailed it is. Plus, it seems like such a lovely place to visit, very serene and green. Well this place is the absolute cutest! I've never heard of it before but I would certainly want to visit. & I agree that hearing stories about the Queen and other anecdotes like that are what make a place special. It allows you to connect more with it. This town looks like something out of a movie/story book, so so so pretty! Love that pink cottage!! I love all these places you're exploring! 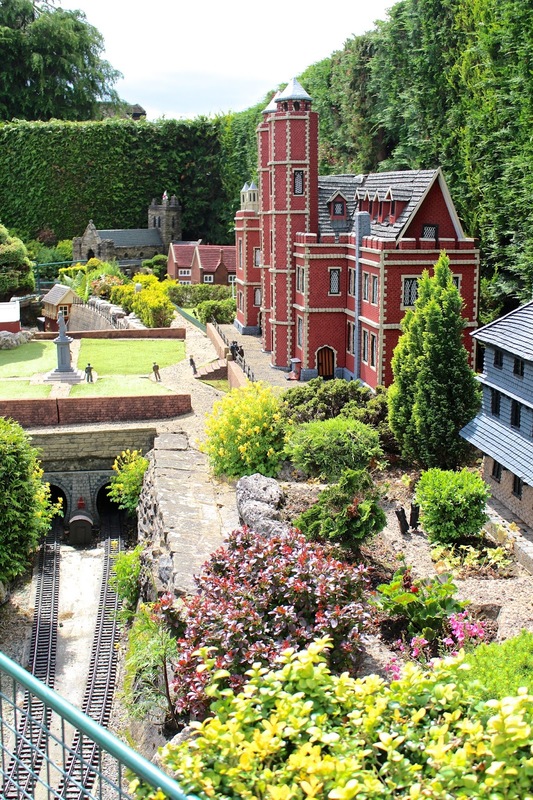 I didn't know there's such thing as a model village and I have bookmarked this place; will visit when i go to london! I saw the photo on your Instagram, and I gotta say that it looks so super duper cute! I mean I have seen many pink houses, but the design of this one is just different and I think it is so cute! Love the casual denim look girl! OH Wow!!! Absolutely stunning <3 Totally like an English country tale. Beautiful clicks, Gabrielle! This is SO cute and unique! What a fun way to spend an afternoon. I love the beautiful pink building with the thatched roof, so pretty. Oooh wow this looks absolutely gorgeous. So perfect. So adorbale. Thank you for sharing and have an amazing new week. And the fact that it is still so well-kept and maintained after all these years goes to show how serious they are, and it's also nice to know that all proceeds go to charity. Have a great new week ahead, Gabrielle. awww this is so cute! can't believe it so old, love your sandals too!! Oh my, this is amazing! I didn't actually realise you could actually visit these places! The amount of work that must go into creating them must be immense! It reminds me of my love of the borrowers when I was younger and how I desperately wanted to be that small! Gosh, I wanna live here. Aww, I didn't know about this place, but it looks so cute! I love the way you've photographed this Gabrielle, this model village looks almost life like! Woow this is so adorable ! Will love to visit this ! Holy Cow!! Is this place for real?! I. Just. Died.